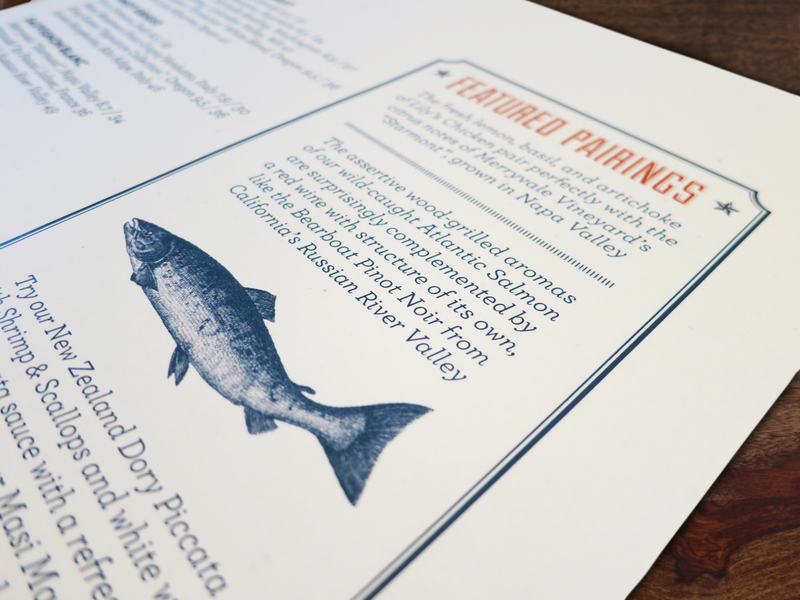 As a consultant to Orlando design firm Brand Architecture, I was given the amazing opportunity to create an entirely new menu system for national restaurant chain Bonefish Grill. 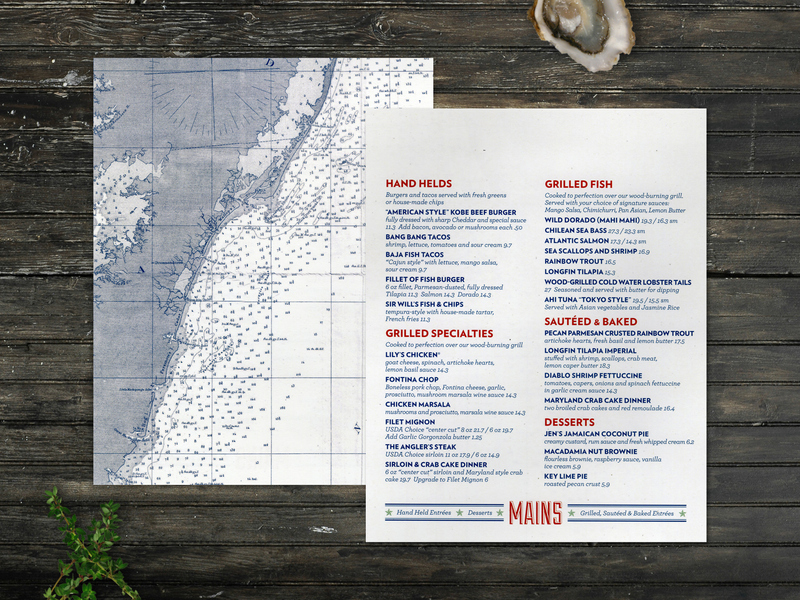 The client was looking for some adventurous and creative ideas that would revitalize an aging menu, so I took a more modern, young and trendy approach. 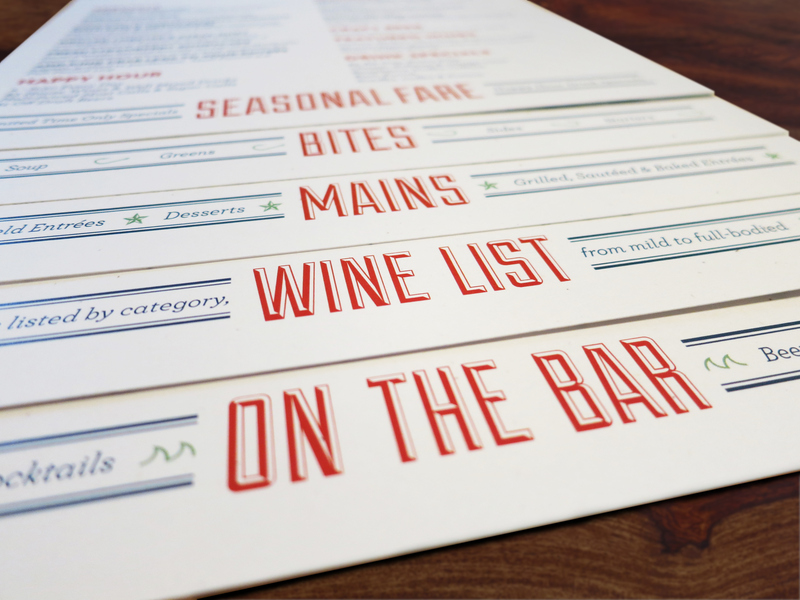 This five-page system clears the table of extraneous objects by consolidating the food menu, wine menu, cocktail menu and limited-time offerings into a single piece through the use of staggered pages and a clipboard. 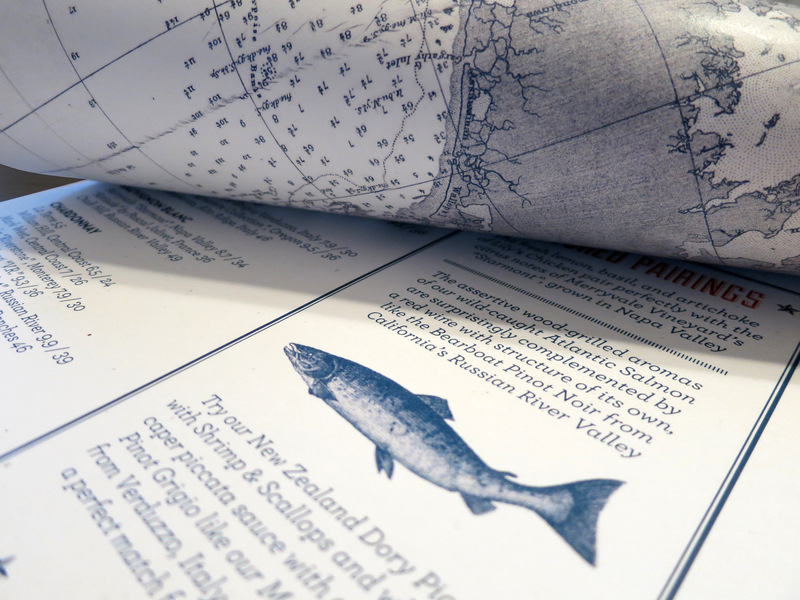 Each page is labeled at the bottom to ease navigation, and nautical maps decorate the page backs. 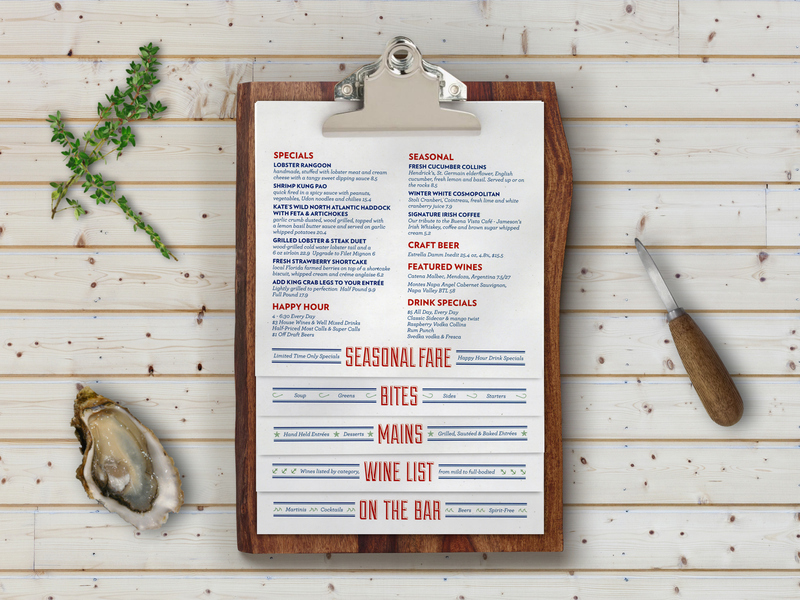 The extra space also afforded wine and beer pairing suggestions for further upselling opportunities.